If you’ve just started looking for a pair of boxing gloves you’ll spot that boxing gloves aren’t measured in size, but in weight. It’s easy to be pretty clueless as to what to buy, but we’re here to break it down. 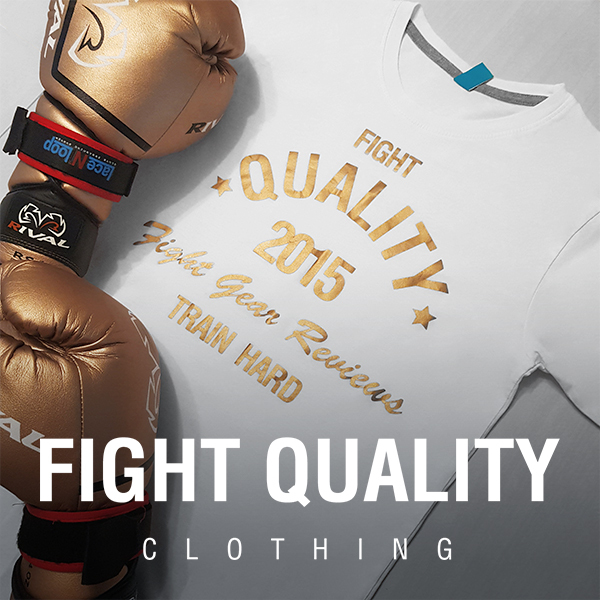 Here at Fight Quality we know that your gear only takes care of you if you take care of it. One of the most important pieces of protective equipment in your bag (except maybe your groin guard) is your mouthguard – we’ve reviewed quite a few of them. You’ve got to take care of your pearly whites because there’s a distinct difference between a tough, rugged fighter and a tough, toothless fighter. You’ve just got yourself a brand new pair of gloves, they smell like new leather, the inner lining is soft against your skin. You put them on, and they’re a bit tight even without hand wraps. You take them to your next training session, you’re buzzing to use them and you start hammering the heavy bag and slamming into the pads. And before too long your knuckles hurt, your fingers are numb and you’re regretting the enthusiasm. It’s not a problem with the gloves, it’s because they’re new. Thai pads are the centrepiece of a Muay Thai Coach’s arsenal, and for good reason. Thai pads are highly versatile, and provide the ability to quickly adapt for both boxing and kicks in ways that traditional boxing Mitts, martial arts paddles or kick shields simply don’t allow for. What Does The Weight Of A Boxing Glove Actually Mean? Continue reading What Does The Weight Of A Boxing Glove Actually Mean? We’ve written in the past about the different types of boxing gloves, but we wanted to go into a little more detail about the differences between the traditional boxing gloves, and Muay Thai style boxing gloves. It’s not the end of the world if you end up using the gloves for the wrong sport, however it is a good idea to at least understand what the main differences are and why they’re different in the first place. If you’re training often, it’s incredibly important to keep your gear clean, including your mouth guard. In this article we’ll be going over a couple of the steps which you can take to make sure your mouth guard is always clean and fresh, and avoid any possible hygiene issues. Podcasts are awesome. They’re a great way to catch up on the latest news, listen to interesting conversations and to generally be inspired. They also often give great insights into the lives and mindsets of other fighters, who don’t often get the chance to voice their story. Thankfully there are a number of awesome podcasts out there for anyone passionate about Muay Thai, so we thought we’d list 5 of our favourites. Following up from our recent article about techniques for cutting weight, we’ve decided to take a look at the unsuccessful side of weight cutting – the guys who fail to reach that magic number. Below we’ve listed five of the biggest misses in the UFC, highlighting fighters who have, or definitely should consider, moving up a weight class. In any sport that requires competitors to make a certain weight, cutting weight becomes a skill in itself. From powerlifters to MMA fighters, weight cutting is a popular way to gain some advantage. We’re going to go over a couple of different methods to drop water weight in order to hit the scales bang on your target. Here at Fight Quality we’ve had a brilliant year, releasing a shed-load of reviews, plenty of interesting posts, interviews, guides and even a few competitions! We release content several times a week, so we decided we’d round up and present to you some of the best content released over the last year! Welcome to the Fight Quality ultimate guide to everything you need to know about boxing gloves. This guide aims to be the only resource you’ll ever need when it comes to boxing gloves. We’ve broken down just about everything you need to know, from the specialisations of the different styles of glove, to the different brands available. BookMartialArts recently approached us asking if we’d give some of our advice on what we think makes a good MMA training camp, what you should look for and what sort of gear you’ll need to invest in before hand. We of course helped out, alongside a range of other MMA websites, in order to help build up a great guide, The Definitive Guide on Choosing the Right MMA Camp.